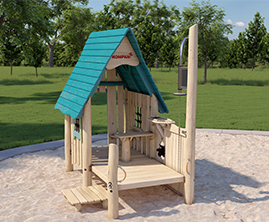 KOMPAN, the world’s leading manufacturer of playground equipment has over the past few years, seen growing demand and interest in its Robinia products. 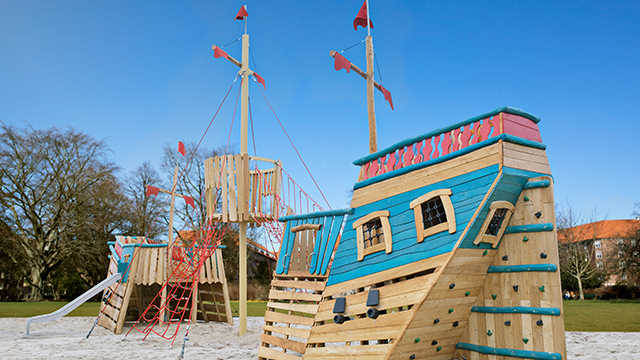 In 2017,KOMPAN added a number of new structures to our Robinia portfolio like amazing Castles and Ships from KOMPAN Design Studio as well as sand & water play designed specifically for children's sand and water play. Get inspired here. The Robinia castles will give any park a regal touch: the castles are architecture for the play princes and princesses – and possibly even some kings and queens. 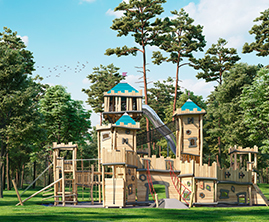 With their scale, the Robinia Castles allow for a wide range of ages playing together and invite the whole family for a royal play day. The Robinia ships make a fleet of unbeatable imaginative play motivators. From the small challup to the huge schooner,these ships were crafted for play sailors with an imagination to take them anywhere. Children love playing with sand and water. These two highly tactile ingredients are great working materials for the young creative mind, and contribute to children’s early learning, experimentation and understanding of the world. When they play with sand and water, children develop their motor skills, they learn to interact in groups, and their ability to concentrate grows. In short, sand and water play is great for children’s development.